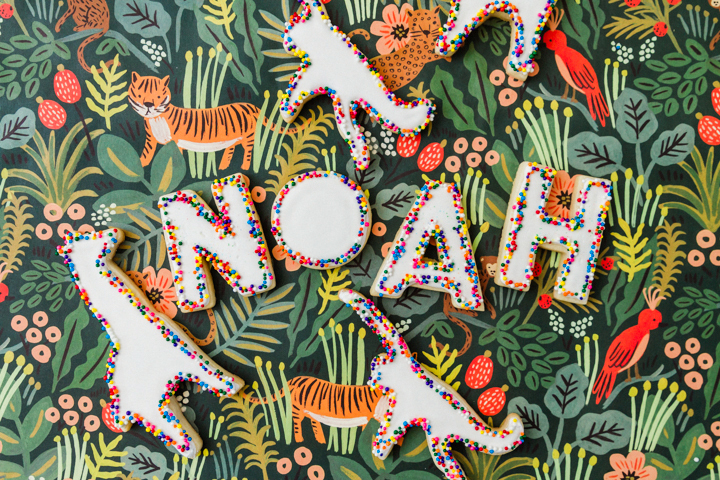 These animal-themed cookies, aka Jungle Sugar Cookies, are a huge shout-out to my grand-nephew, Noah, who just celebrated his first birthday. When I was in high school one of my sisters had a little boy, Michael. I remember being so excited about his arrival – my first nephew! Now, twenty-some years later, my nephew Michael has his own son: Noah. 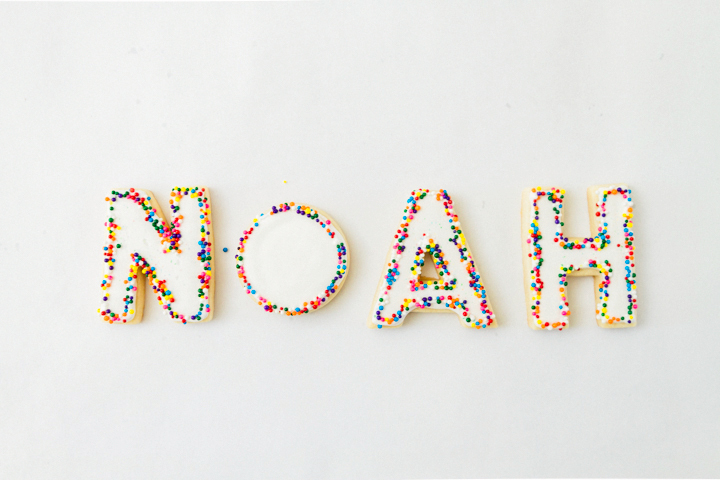 Noah is a sweet, happy boy and I dedicate these jungle sugar cookies covered with icing and topped with rainbow sprinkles to him. XOXO, kiddo. Your great aunt loves ya. 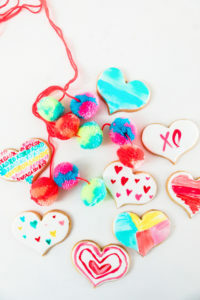 These jungle sugar cookies are really simple and super festive. 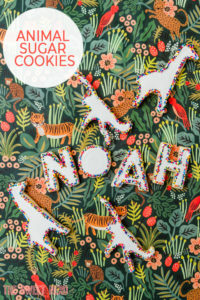 I followed my go-to Perfect Sugar Cookie recipe, and used jungle giraffes and monkey animal cutters from Sur la Table. 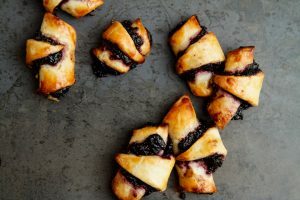 Just a reminder, once the shapes have been cut out, chill in the freezer to set before baking. I used royal icing to first outline the jungle sugar cookie, and then flood the entire critter. 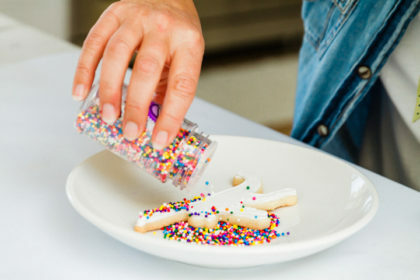 After that dries, add another outline of icing around the edge of the cookie shape and cover in rainbow sprinkles. Really, what is the most edible, delicious nugget in this post? Yep, it’s Noah! 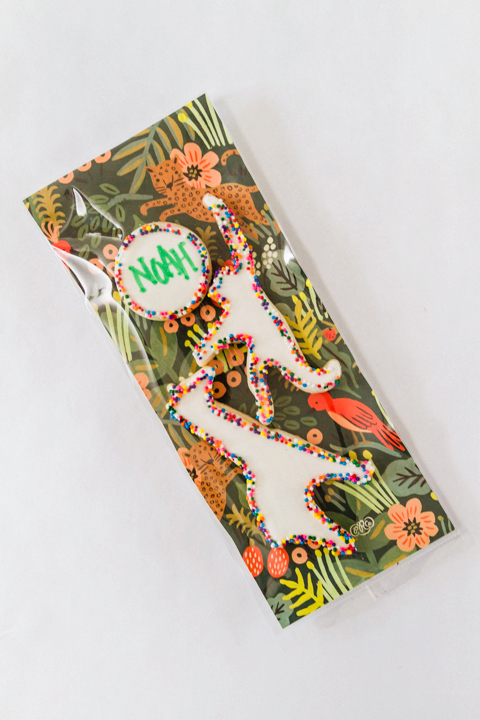 Personalizing cookies is the greatest gift you can give! 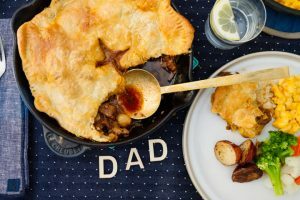 Even better, create a favor to send home with your guests. 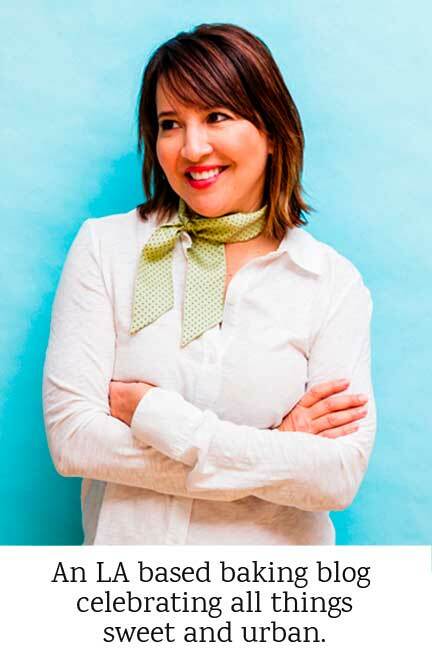 I simply cut some paper, and I used it as a backdrop for the plastic bag. Then I loaded in the cookies. 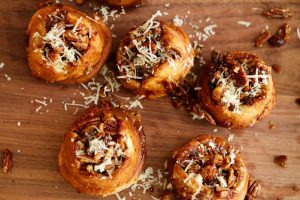 Voila…Some sweet treats! 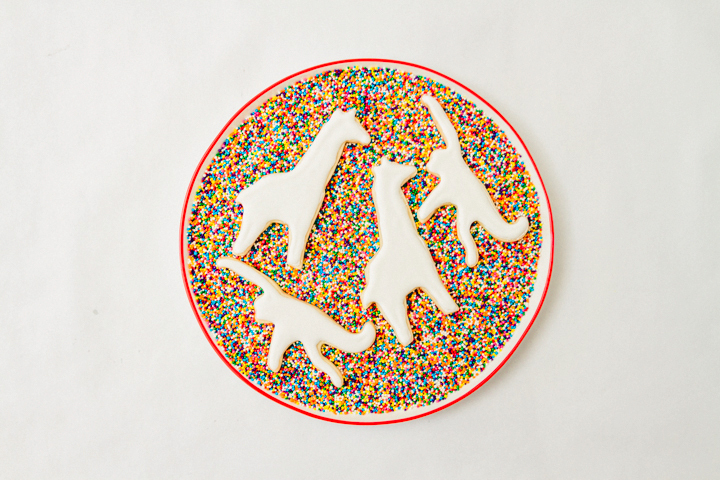 Have fun with the cutters – mixing the cookie animals with his name in sprinkles made for a cute table presentation. Happy BIG Birthday, Noah! What shall we do for age 2?! 1Once the cookies are cooled, use the royal icing to flood the cookie. 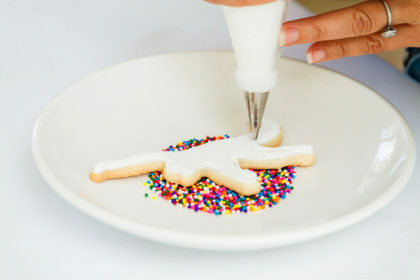 Once that icing dries, add outline of cookie and shake sprinkles on top of royal icing outline. He really is so cute, Cindy! What a cute idea. I love the paper you’re showing with the cookies. How do you envision that on the party table? You could cut it into shapes, like a large star or a flower petal shape and set at the center of the table. 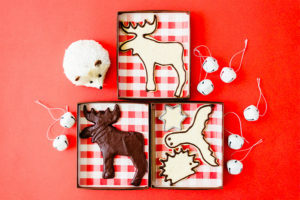 Or use it beneath whatever you’re using to display the cookies – it’ll look good with glass because you can see the paper through it. These are darling! I’ve just begun working with royal icing and love the idea of piping a border and using sprinkles for decoration afterwards. Yes, it’s a cool look. Just let the base of the royal icing dry a little first so you have a wet, sticky top layer. These are so cute! 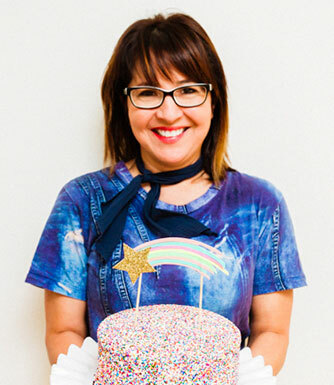 I love all the sprinkles! Thanks Shadi! Rainbow is always fun. Happy birthday to Noah! He is a cutie and I bet he loved those cool cookies! Omg he’s adorable, love these cookies! Thanks Emily! I’m a big fan as well. This is such an adorable post!!! I always wondered how people got their sugar cookies to cook in the same shape they were cut. When I use cookie cutters the cookie always cooks into a big blob. Does putting the cookies in the freezer before cooking help them keep their shape? You got it. It sets the dough so it holds its shape. Blob-proof!